Our phonics sample lesson is filled with fully annotated information—lesson plans, detailed teacher’s notes and photocopiable worksheets and resources—to show you just how easy and fun it is to use Jolly Phonics. 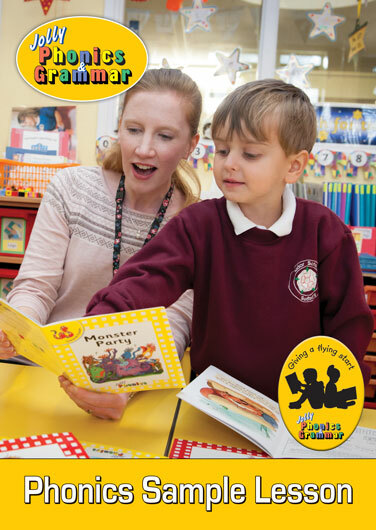 You can download the Phonics Sample Lesson by pressing the buttons below, or view it on screen by clicking on the Issuu files to the right. 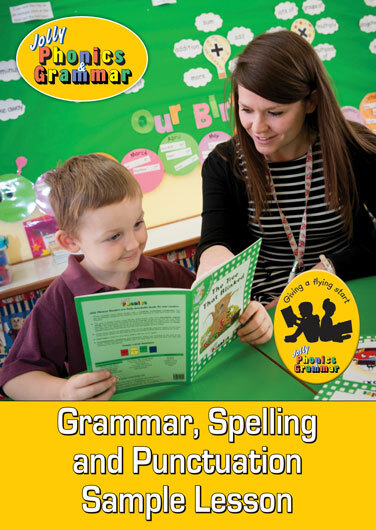 Our grammar, spelling and punctuation sample lesson is designed to show how a synthetic and progressive approach using the Jolly Phonics & Grammar programme will enable you to develop children’s learning as they become confident readers and writers. You can download the SPaG Sample Lesson by pressing the buttons below, or view it on screen by clicking on the Issuu files to the right.